It looks like the end of the road for End Of The Rainbow. As Billboard points out, the Seattle-area music festival has been cancelled two months ahead of its inaugural installment. I guess there wasn’t actually a pot of gold there after all! End Of The Rainbow was to take place May 24-26 at Gorge Amphitheatre in George, Washington outside Seattle. You may recognize that as the longtime site of the Sasquatch! festival, which did not return for 2019 and also looks to be dead. 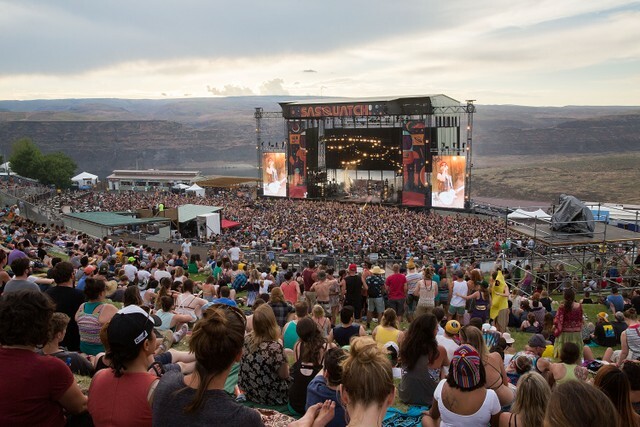 Compared to Sasquatch’s indie-heavy 2018 slate (headliners included Bon Iver, the National, Modest Mouse, and David Byrne), End Of The Rainbow’s lineup skewed more toward EDM and hip-hop, with Bassnectar, Lil Uzi Vert, Young Thug, STS9, Gogol Bordello, and Vic Mensa among the top-billed artists. A letter from Ticketmaster to ticketholders cites “key artist cancellations” as one reason for the shutdown, though it’s unclear which artists pulled out. The message also implies End Of The Rainbow has been postponed, not outright cancelled: “End of the Rainbow was built on a desire to create a special event for all attendees at The Gorge. Due to unforseen complicatons and key artist cancellations, we have been force to reschedule.” However, End Of The Road’s Facebook and Twitter accounts have been deleted, which doesn’t seem like the behavior of a brand that intends to resume operations at a later date. Ticket buyers are expected to automatically receive refunds this week. The Seattle music festival landscape continues to be dotted by longstanding events including Bumbershoot and the smaller-scale Capitol Hill Block Party, both of which take place at urban settings within city limits. As someone who always wanted to check out a fest at the Gorge but is also well aware that the festival bubble burst a while ago, consider me bummed but not surprised.